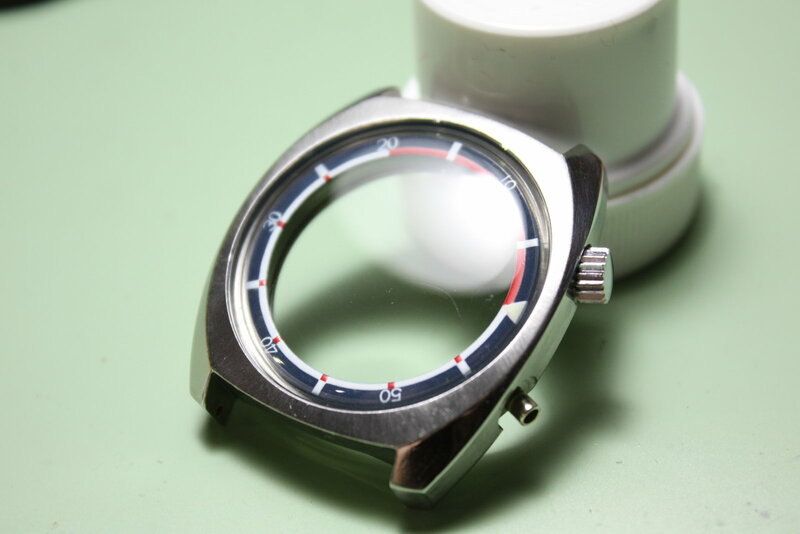 I got the watch for a reasonable price and it looks quite good from the outside (sadly the hour hand has caused some light scratches on the inner dial but I assume I can correct for this). 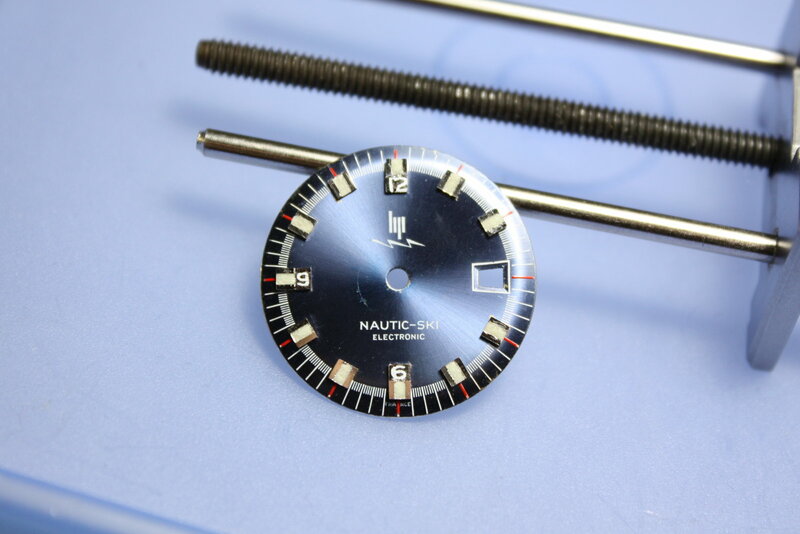 The case is tightly closed (underwater use!) 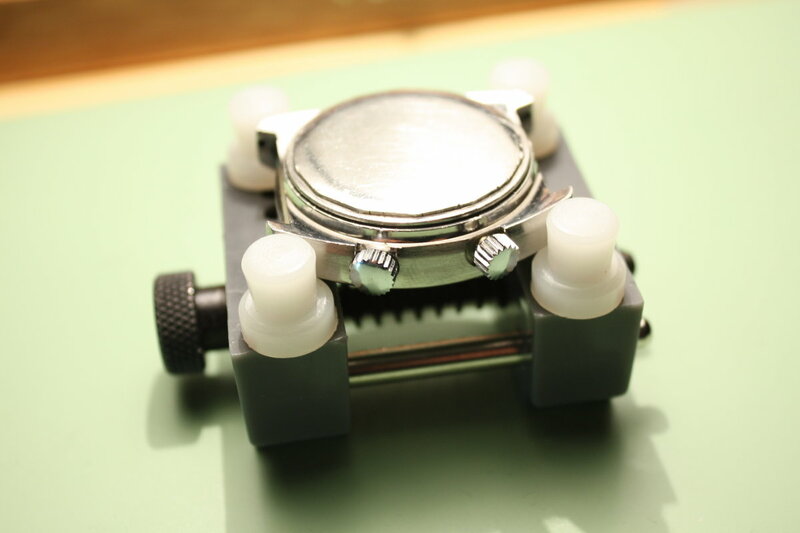 and requires a special case wrench to get it open. 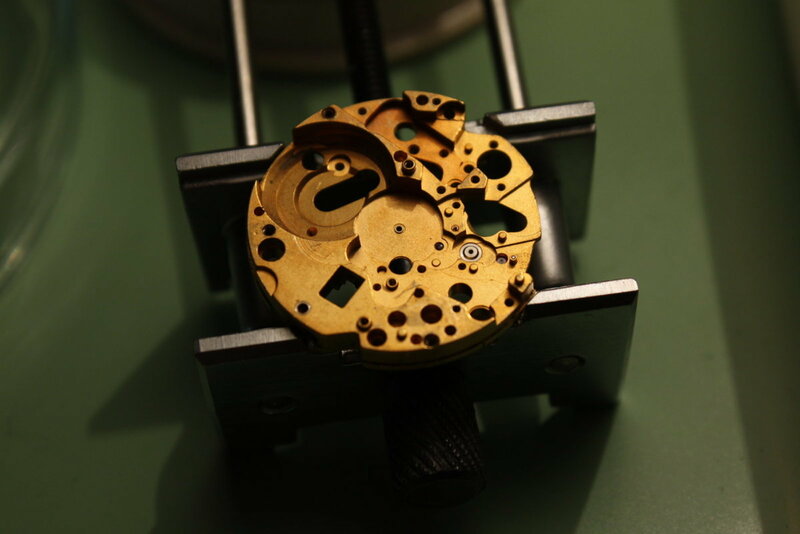 The nice-looking movement. 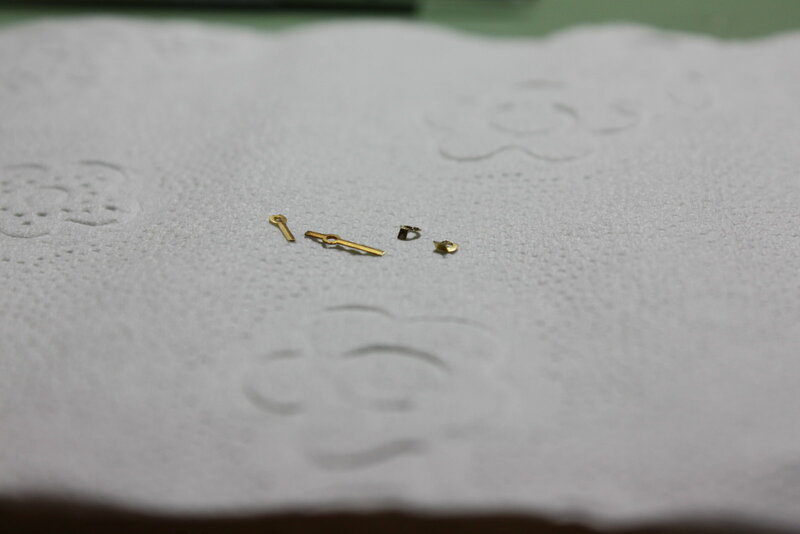 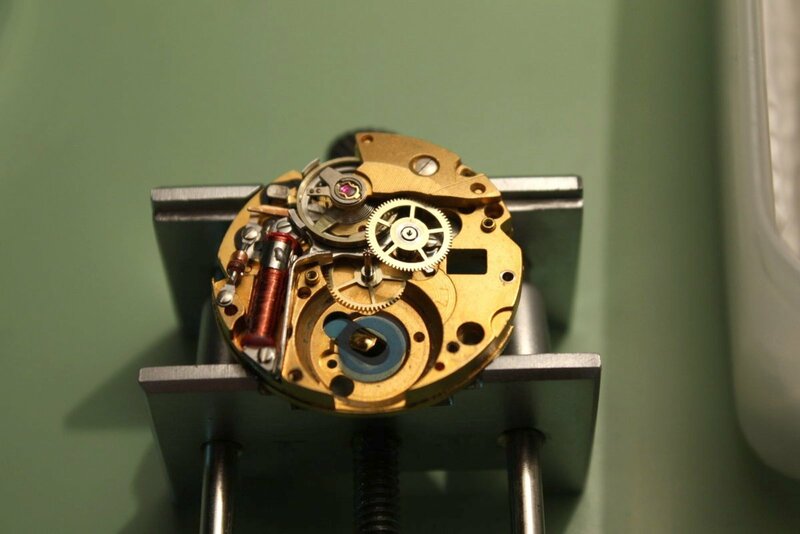 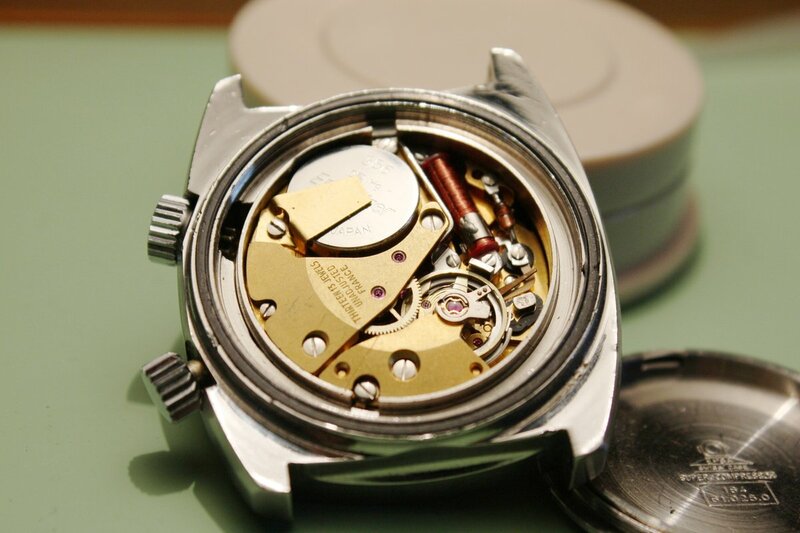 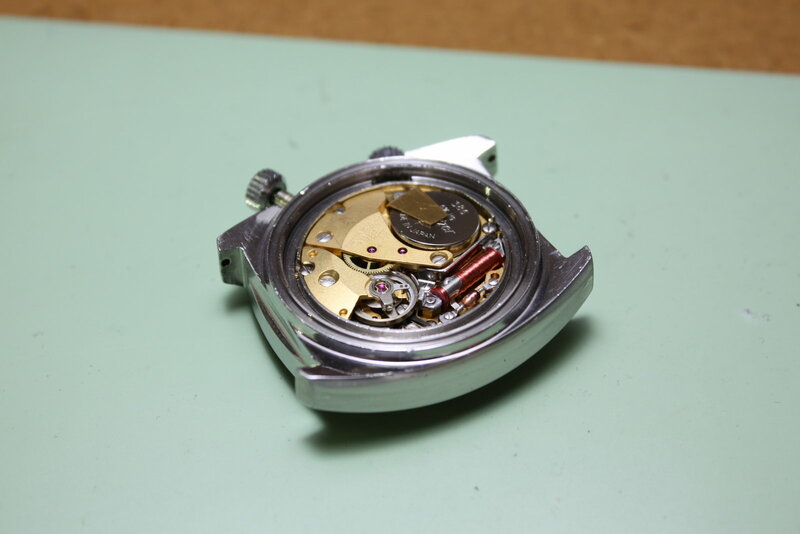 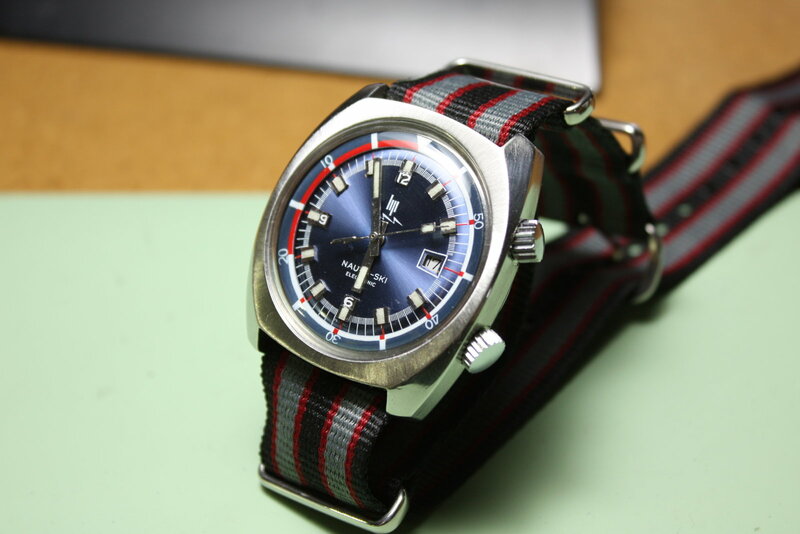 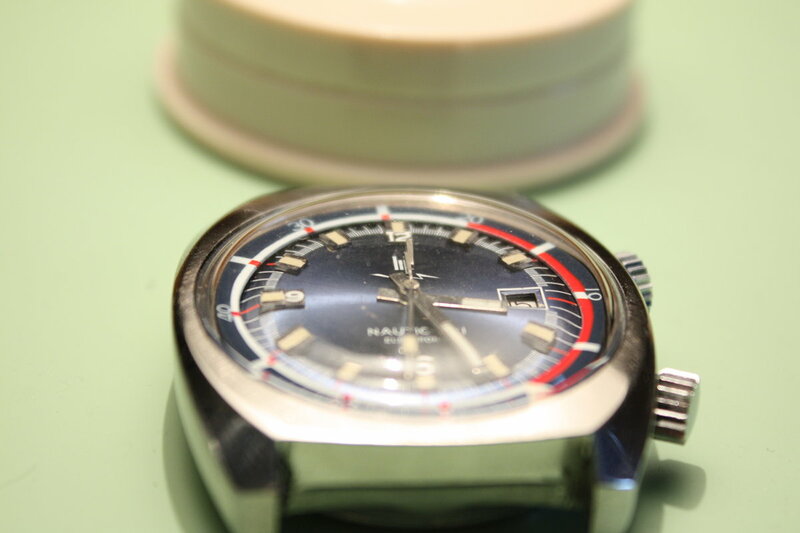 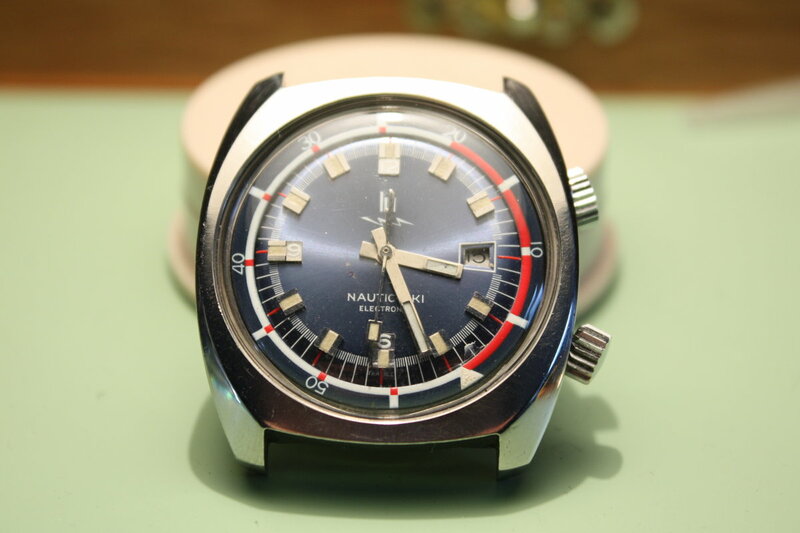 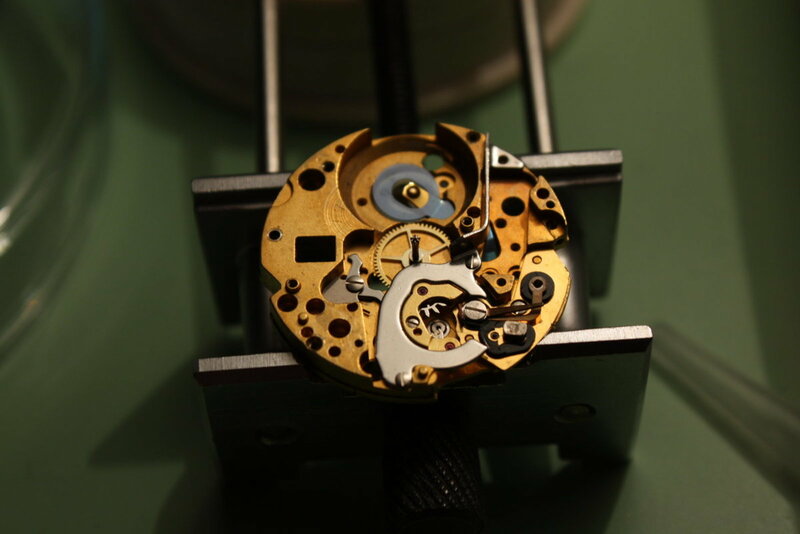 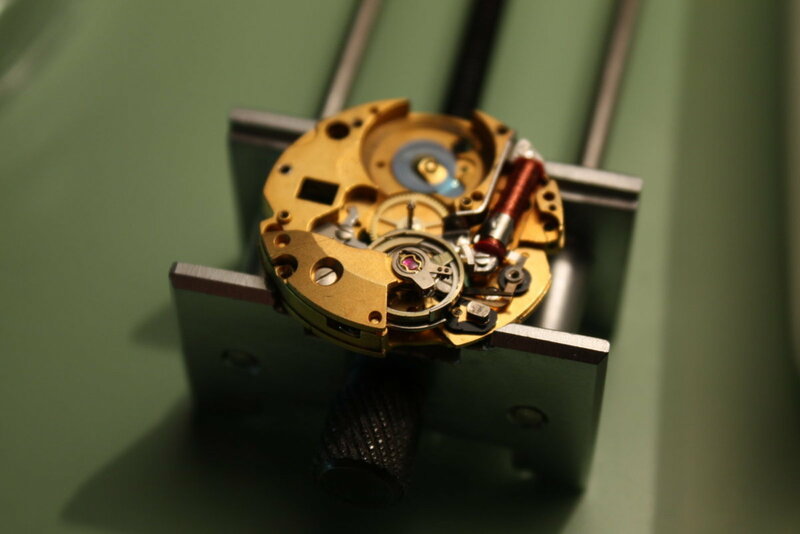 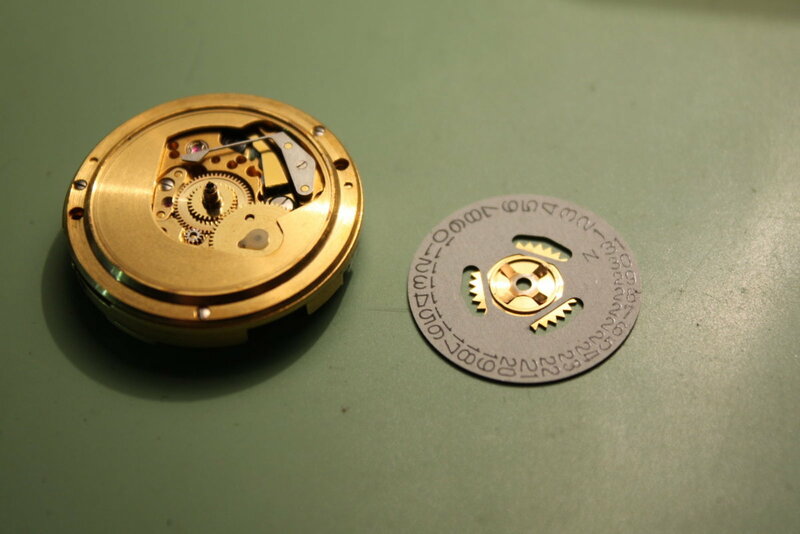 It is a LIP R184 movement based on the LIP R148 which did not yet have a date indicator. 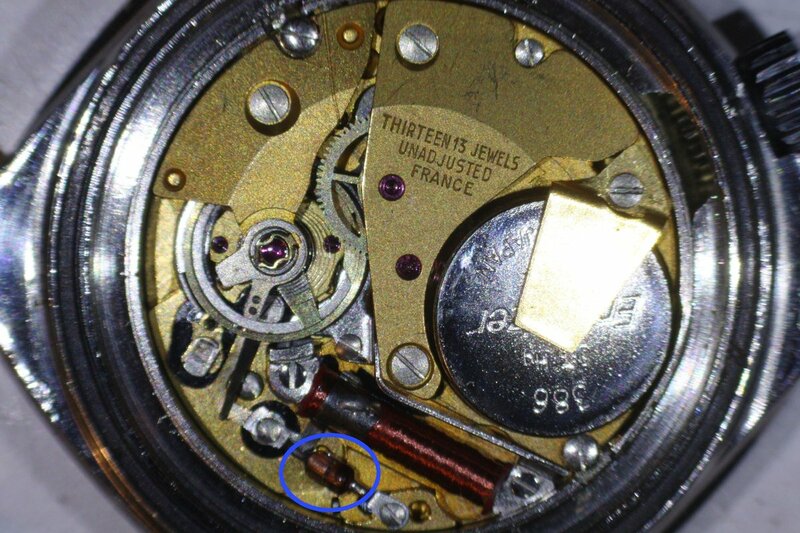 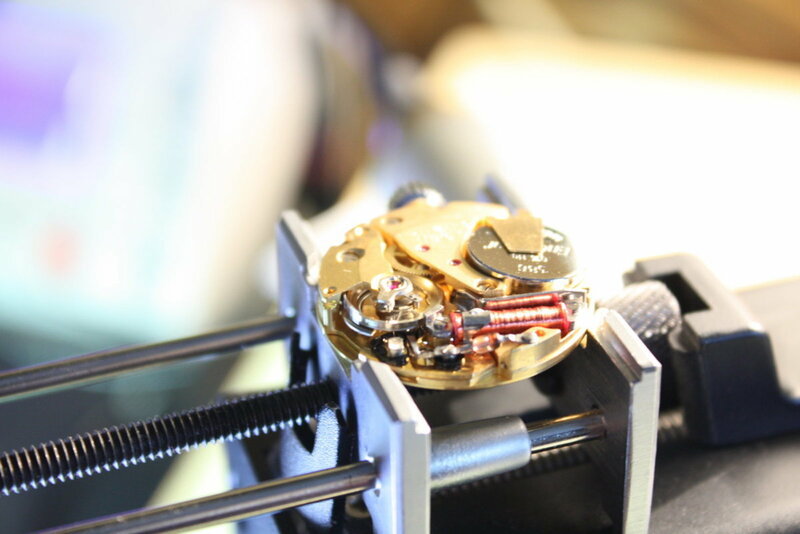 The movement is not really an "electronic" one as this would require the presence of at least one transistor (the first one featuring this tiny and then still quite novel device was the Bulova Accutron of the same era). 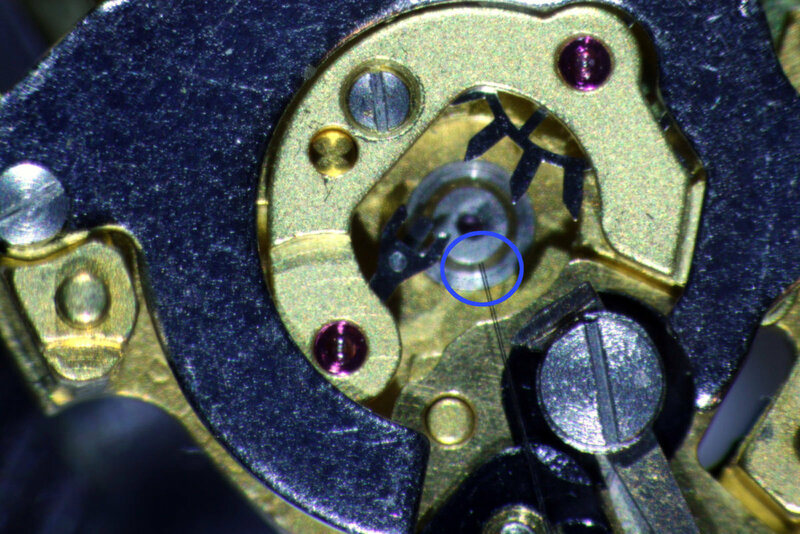 However, including the term "electronic" seemed to be a good selling-point per se back then and there was at least one semiconductor inside the movement for justification, as the LIP-engineers had to add a small diode (encircled in blue...) to act as a spark suppressor diode. 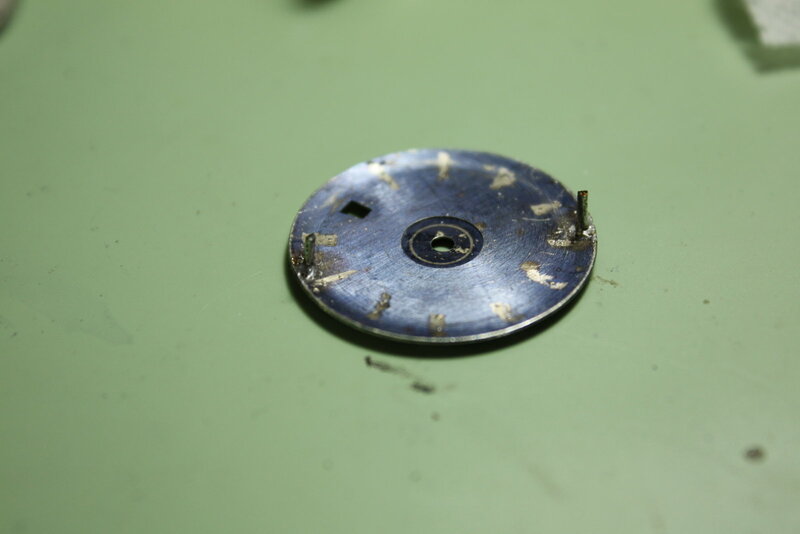 It minimizes wear of the contact pins which switch the red-coloured coil on and off thus becoming a magnet and driving the oscillation of the mechanical balance wheel (on the left side). 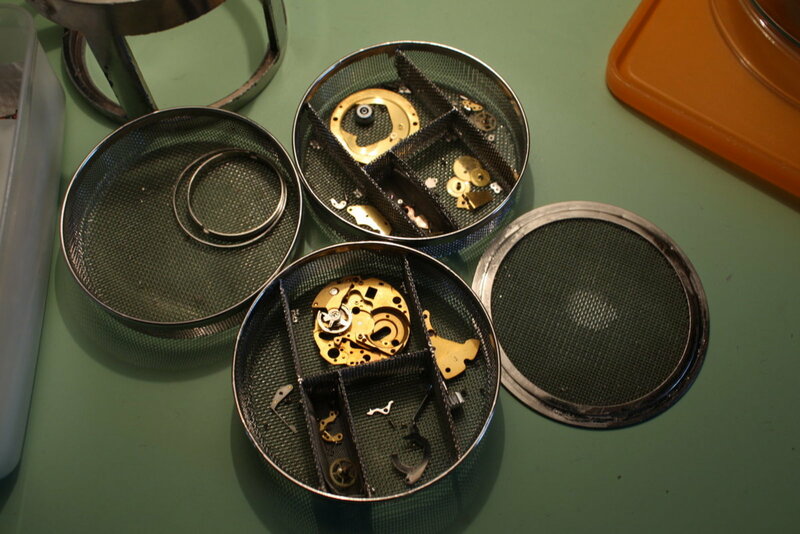 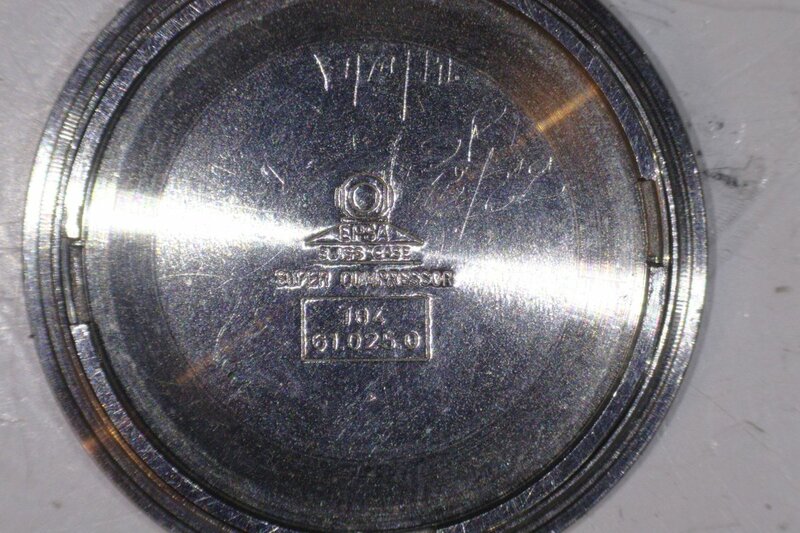 The "Super Compressor" case was produced by EPSA (= Ervin Piquerez Société Anonyme) and features an engraving of the head of a deep sea diver. 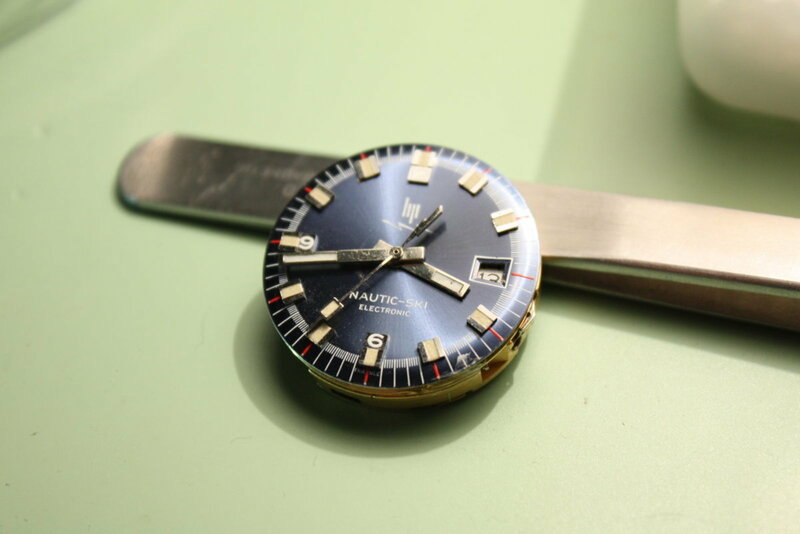 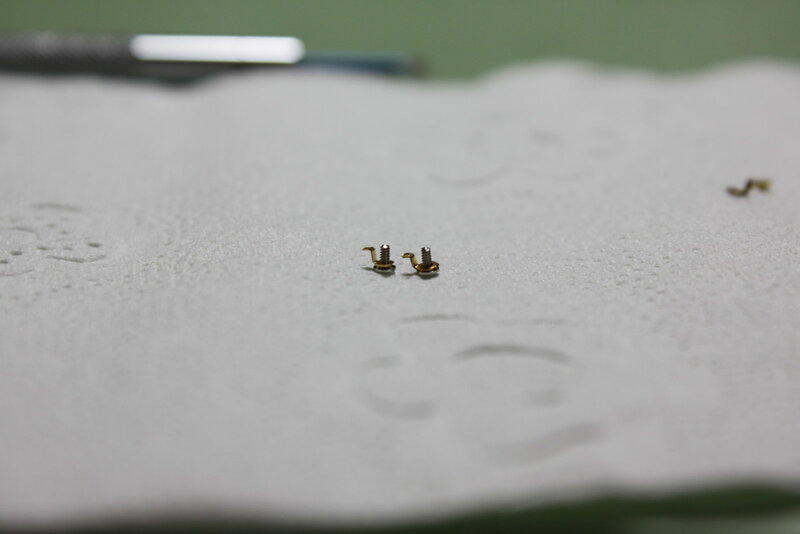 Despite the lack of screw-down crowns, the case allowed for diving up to 200 meters deep without letting water in (this equals 20 bar or around 600 feet). 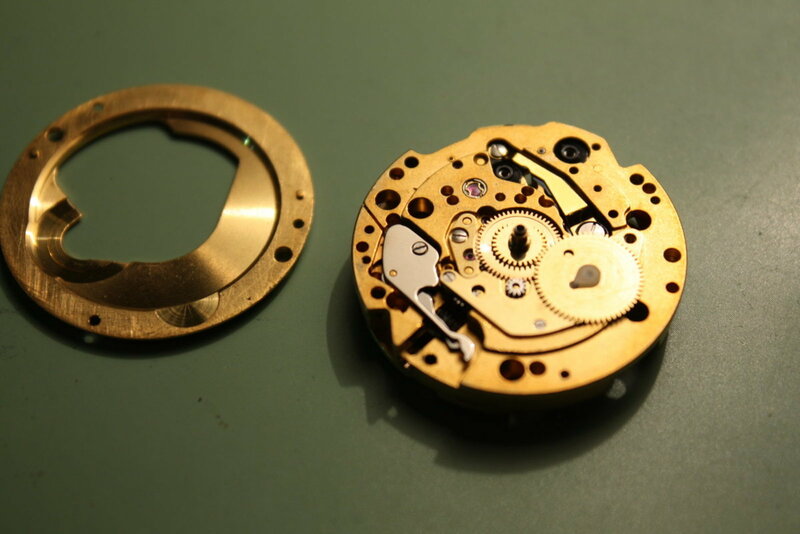 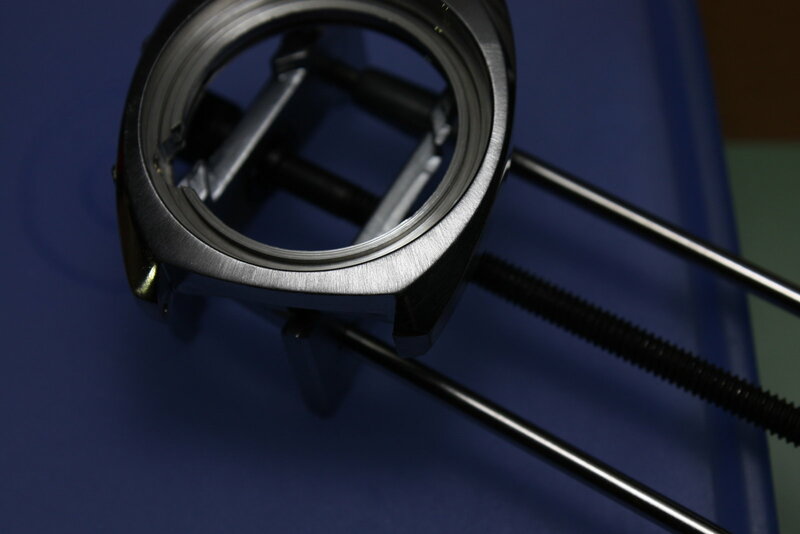 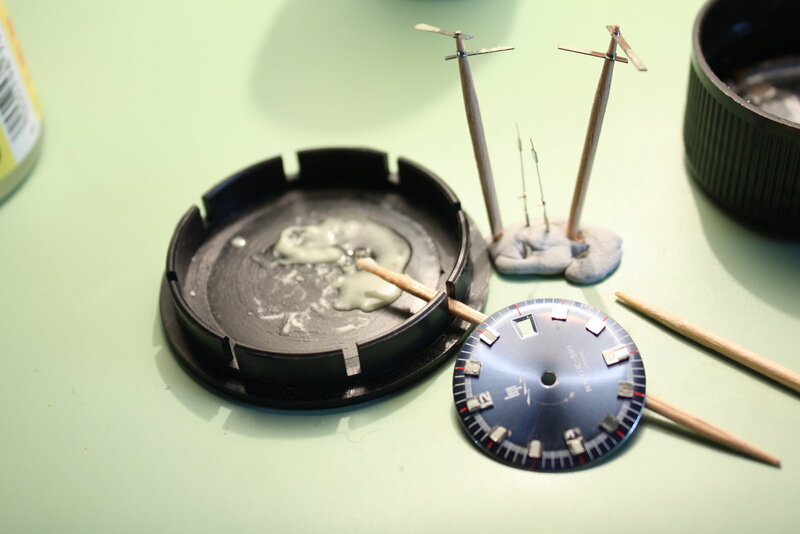 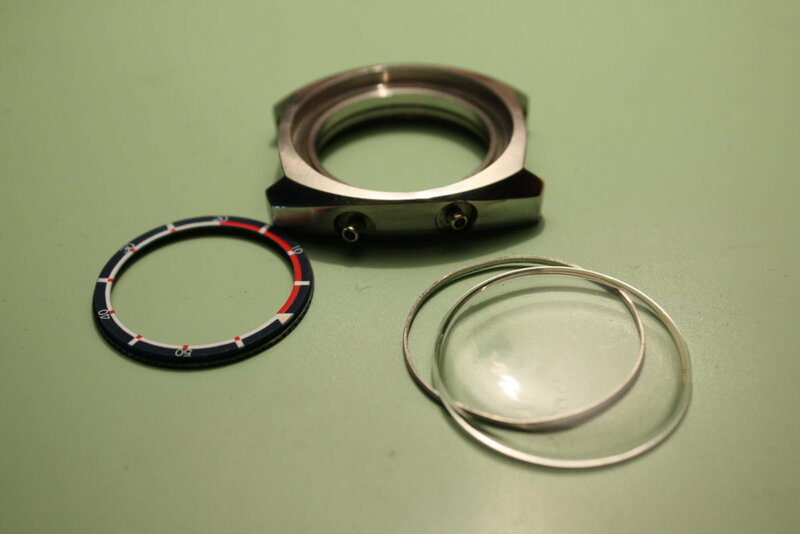 An advantage of the battery-driven movement was that winding it was not necessary thus putting significantly less wear on the crown gaskets in addition. 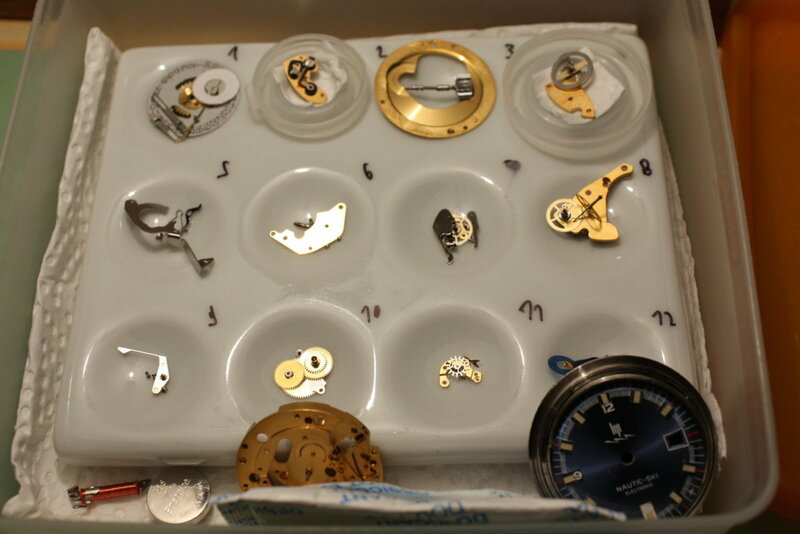 Putting the pieces together was nothing special in this case, I just checked all the parts for faults (there were almost none) and lubricated were necessary. 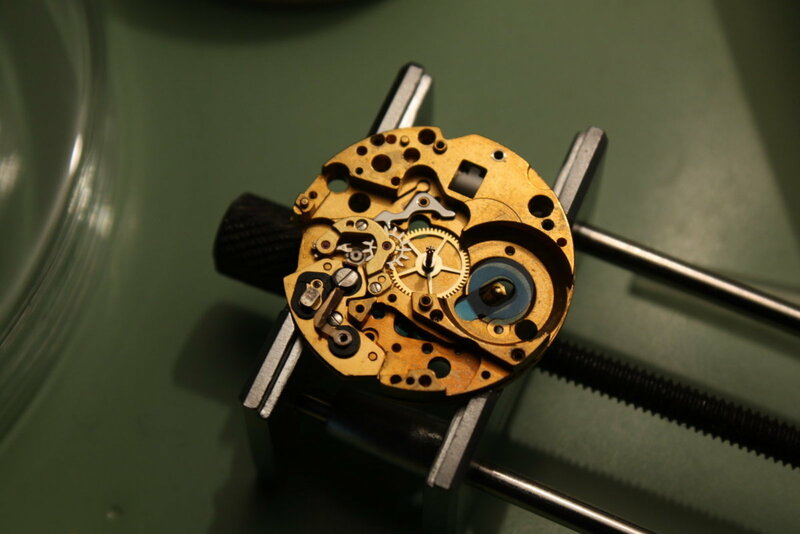 One thing I particularly liked about this movement is the friction wheel (next picture) which allows for setting of the time. 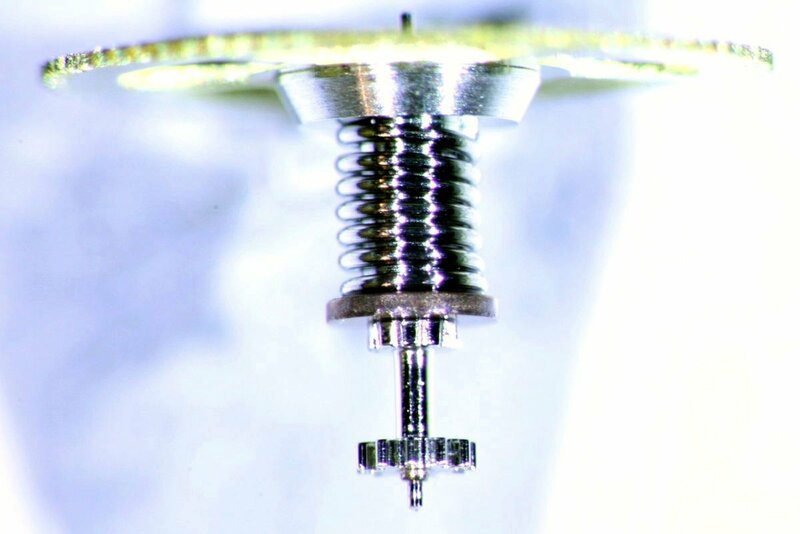 I assume this durable spring-based way of doing it generates much less wear as the typical cannon-pinion solutions. 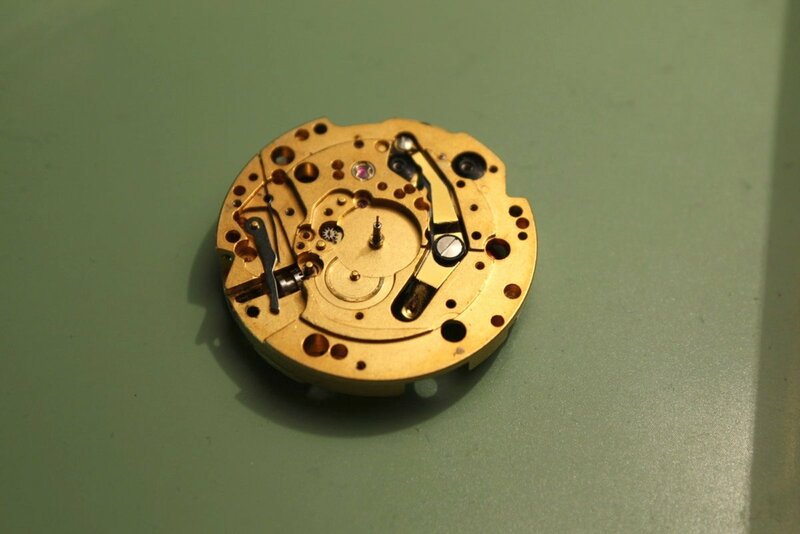 Finally the completed movement on the timegrapher - more on this later, as it took me some time to get a decent amplitude and timekeeping from the movement. 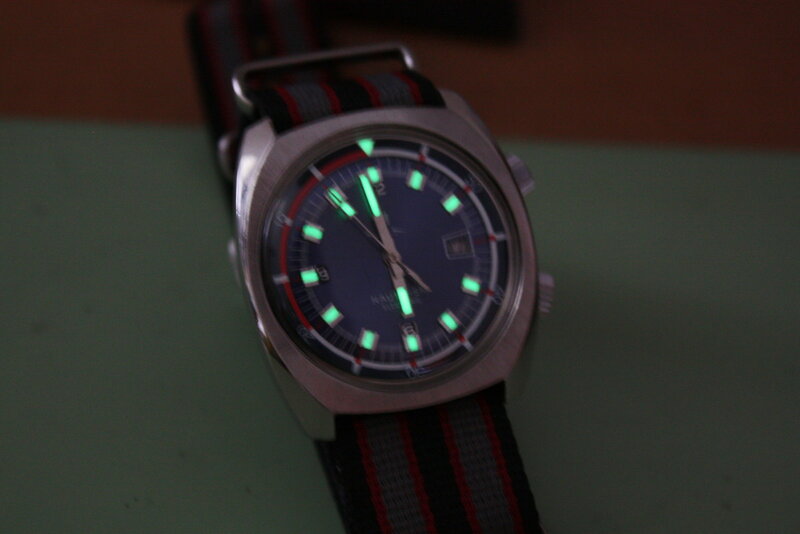 I tried to get back to the original sunburst pattern as close as possible - not without success as the following photo shows.